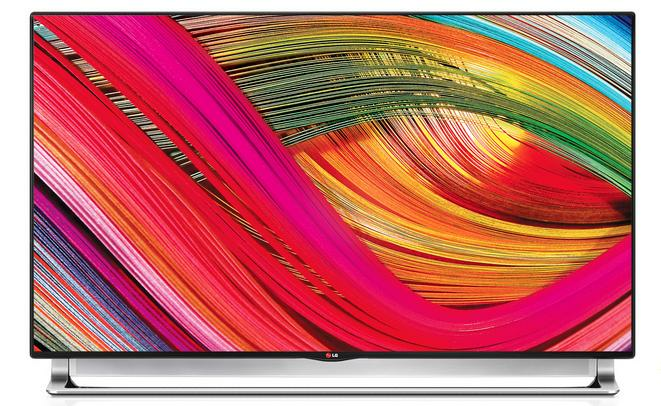 There's a huge lack of 4K or Ultra HD content to view on it, and it's priced well out of reach of many consumers, but the LG 65LA9700 Ultra HD TV is one of the most impressive on the market. If you're willing to spend big, the LA9700 comes highly recommended. 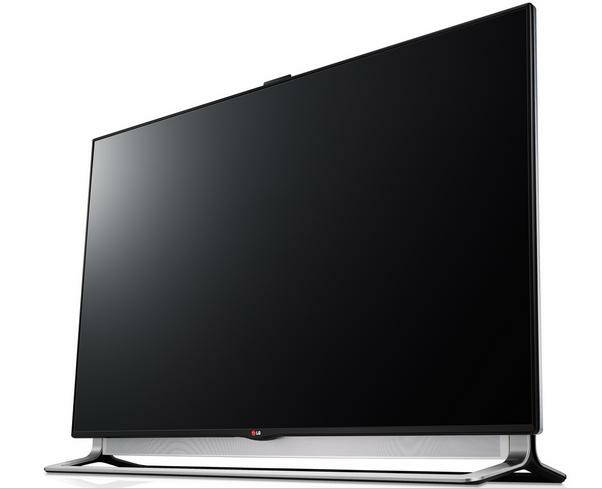 LG's LA9700 is the company's 65in Ultra HD television for 2013. 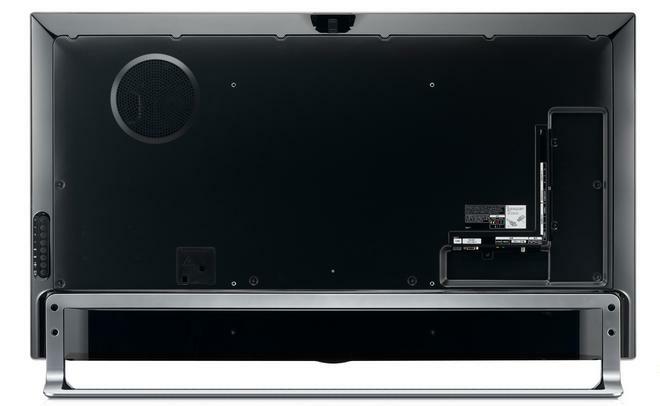 Available in 55 and 65in sizes, the LA9700 features an integrated sound-bar, uses a full sheet of LEDs for backlighting, and has an Ultra HD-resolution that can show four times the detail of current Full HD panels. There's a huge lack of 4K or Ultra HD content and pricing is at a premium, but the LA9700 is one of the most impressive TV's on the market. We reviewed the 65in model (65LA9700), though the 55 and 65in models are identical aside from screen size. The LG LA9700 has an extremely thin bezel surrounding the display, so it's almost an edge-to-edge screen. The bezel has a brushed metal look and is slightly thicker at the bottom. The red backlit LG logo is a nice touch, though this setting can be turned off in the settings menu if you wish. One of the LA9700's best features is a built-in sound-bar that extends and retracts automatically. The audio device has 50W of audio output and uses four speakers for simulated surround sound. It produces significantly louder and better quality audio than almost any other TV speakers we've seen, and it will work even if you choose to mount the device on a wall. The LA9700 sits on a relatively attractive stand that blends in with the design of the bezel. While it's sturdy enough, the TV does wobble back and forth when pushed, even when the stand is secured with the supplied screws. Despite appearing to be made from metal, the stand is actually constructed from plastic, so it does feels a little cheap for such a high end TV. The stand is actually constructed from plastic. On the top is a pop-up camera for motion sensing features and for supplying video to built-in apps like Skype. It doesn't pop-up automatically, so you have to pull it up manually when you want to use it. It worked fine with LG's built-in Skype app during our testing, though we had less success using it as a motion sensor. This is typical of most of these technologies, and not restricted to an issue solely with LG's TVs. The back of the LG LA9700 houses all the TV's connections. All three HDMI ports, two USB 2.0 ports and a single USB 3.0 port are located on the side panel and are easy to access. The rest of the ports, including an Ethernet connection, VGA, composite and component video, antenna and optical digital audio outputs, are downward facing. We tried using a portable USB 3.0 hard drive with the LA9700 but couldn’t get it working despite the port being labelled as "HDD". Both USB 3.0 and USB 2.0 flash drives worked without any issues and played a variety of video files. The LA9700 is an Ultra HD TV, a new type of picture that has four times the resolution of regular, Full HD TV. Where Full HD is defined as having a resolution of 1920×1080 pixels, Ultra HD is defined as having a resolution of 3840×2160 pixels. Detail displayed is among the best we've seen. When watching Ultra HD content, the LA9700 displays vivid, detailed and crisp video quality. The images are sharp, bright and extremely vibrant. LG supplied four Ultra HD or 4K video files with our review unit and the image quality is outstanding, with super deep black levels and eye-popping colours a particular highlight. Detail displayed is among the best we've seen on a widely available television. The issue with any Ultra HD TVs, not just ones manufactured by LG, is a lack of content. Aside from the videos that LG supplied, it's tough to find content at this resolution. There are a few Ultra HD clips on YouTube, but the large file sizes make them tough to easily access unless your Internet is up to the task. Thankfully, the LA9700 will upscale non Ultra HD content in order to simulate the 4K effect. While it's no replacement for true Ultra HD content, watching a Blu-ray movie or a HD Foxtel channel through the LA9700 offers better image quality than most full HD TVs. The upscaling feature takes the lower resolution video and creates extra pixels to simulate 4K quality. While it works well enough for full HD content, it doesn't make too much difference to SD content, such as regular free-to-air channels. It's not as reflective as many current top-range LED TVs. Blu-ray movies are probably the best example of LG's upscaling feature at work. The LA9700 displays excellent levels of detail when showing a high quality movie. Blacks in movies like The Dark Knight and Inglorious Basterds are excellent, though we did notice a small amount of backlight bleed at some points around the edge of the screen. It's a pretty minor issue overall and you can only really notice it when you're in an entirely dark room watching an almost completely black screen. The LA9700's screen is glossy, but it's not as reflective as many current top-range LED TVs. This is good news if you're using the TV in a open room with large windows. The device has Vivid, Standard, Eco, Cinema and Game picture presets. We found Cinema the best setting for most content, though it works best in a dark environment. Both the Vivid and Standard presets are far too bright and result in oversaturated colours, though you can of course adjust these manually. There are also two "expert" modes that allow you to adjust horizontal and vertical sharpness. Aside from upscaling non Ultra HD content, the LG LA9700 also provides a boost to 3D viewing. It's still a Cinema 3D model and therefore uses thin and cheap polarised 3D glasses, just like the ones you get when watching a 3D movie at the cinemas. However, because of the upscaling technology and the extra resolution, the passive 3D image quality is significantly better. Watching at a close distance to the screen still reveals some horizontal line splitting but the image is both clearer and sharper than usual. LG bundles four pairs of regular 3D glasses with the LA9700, along with a single pair of DualPlay glasses that allow private, split-screen multiplayer gaming. The glasses don't require batteries to work, which is one big advantage over the active 3D technology used by Samsung and other manufacturers. There's some annoying lag when moving from screen to screen. The LA9700's Smart TV interface is pretty similar to the company's existing flagship models. The UI is arranged into boxed categories that are by default set to premium video on demand content, 3D World, Smart World, Game World and Smart Share. The first and the last categories are the ones you're likely to use the most. The former groups on demand services like BigPond TV, ABC iView, SBS on Demand and YouTube, while the latter enables users to link a device like a tablet or smartphone and wirelessly share media content to the TV. We found the video quality of most on-demand services generally acceptable. It's not high definition and there's visible artefacts on most content but the LA9700 does a good job of upscaling videos to fit the very large screen without impacting too much on quality. Unfortunately, there's some annoying lag when moving from screen to screen on the LG Smart TV interface. It's not a huge issue but compared to many Samsung's Smart TV's, the LA9700's interface is both slower to load and navigate. LG bundles two remote controls with the LA9700, a regular remote control and what it calls a premium "Magic Remote". The latter has an integrated microphone allowing users to dictate commands through certain apps, functions as an on-screen pointer and has a scroll wheel that can be used in the Web browser or to change channels. The on-screen pointer works well but the voice commands are hit and miss and we preferred using the regular up and down keys to change channels rather than the scroll wheel. 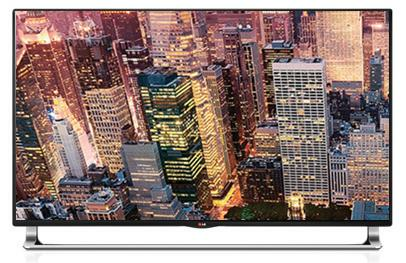 The LG LA9700 is an impressive TV overall, with outstanding picture quality when viewing specialised Ultra HD content. It also does an excellent job at upscaling Full HD content such as Blu-Ray movies, has a relatively attractive design with a very thin bezel, and the built-in sound bar is a very nice touch. It's super expensive and there is a real lack of Ultra HD content to view on it, but if you're willing to spend big, the LA9700 comes highly recommended.